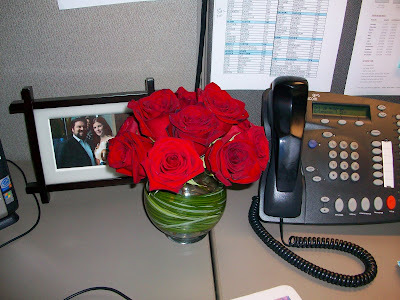 Friday morning, I walked into my office, only to find these beautiful roses sitting on my desk. Imagine my surprise to find out they were from my boss who wrote me a very sweet note about how great I was to work with and how she loved having me on her team. So nice! My other two co-workers got roses too. I was in a great mood all day! A very nice way to end the week.